Fire Station No. 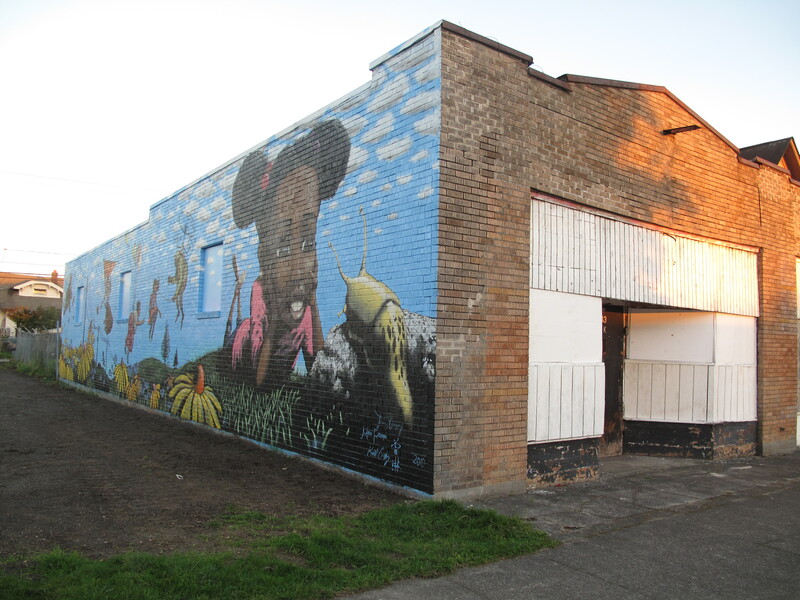 16 at 7216 Sixth Ave., Tacoma, WA, 98406, is the site of art by Bob Henry titled Wilson Rams. The Tacoma-Pierce Co. Public Art Tour site (http://wspdsmap.ci.tacoma.wa.us/website/Art2/viewer.htm) says that the medium is Paint on canvas and the size is 10′ x 30′. I love the bright colors and the fact that it is a local artist and a local scene! 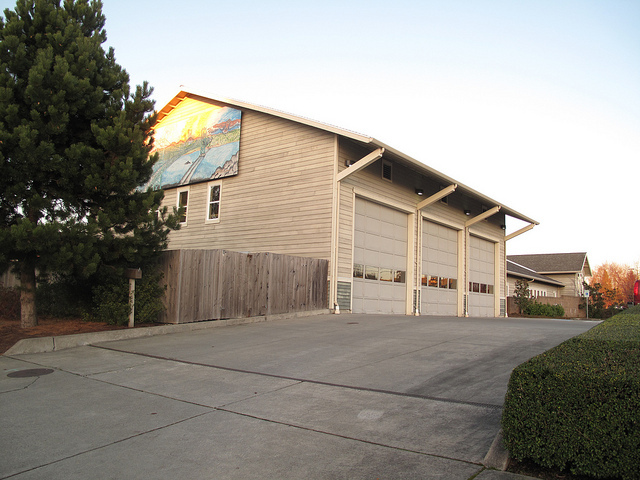 What I don’t like is that it is primarily visible from a small side street that leads to the driveway of the firestation and a small apartment complex. It would be great if more people could enjoy it! This entry was posted in Art -- there is art here!, Government, Tacoma, WA State - Pierce County and tagged 16, 6th, art, Ave., Avenue, bright, colors, Fire Station, mural, paint on canvas, public art, sixth, Tacoma, visibility, WA, Wilson Rams on January 12, 2012 by admin. Today I stopped at one of Tacoma’s newest installations of public art, the 60 foot long Hilltop-McCarver Mural at 2143 Martin Luther King Jr. Way. Since this mural was dedicated recently on October 16th, I had seen a couple of photos. The mural itself is bold, whimsical and very well done. But I guess I had been assuming that it was the background for a park or public space and it is really just the background for a vacant lot that was pretty muddy when I took the photo. So lingering isn’t encouraged, which is a shame because there is so much detail to examine. The building that provides the wall space for the mural is vacant. This entry was posted in Art -- there is art here!, Tacoma, WA State - Pierce County and tagged art, Hilltop, Jeremy Gregory, Martin Luther King Jr. Way, McCarver, mural, public art on November 3, 2010 by admin.